Carlos Pino will be guest artist for the November 20, 2016 SuperJazz Concert. This concert will also be a memorial to the life and music of Everett Lawler, founding director of SuperJazz, who passed away on October 27. Carlos Pino, a Jazz guitarist and composer from the Birmingham Alabama, is a graduate from the University of Alabama (B.A.) and Rutgers University (M.M. in Jazz Studies). While in college carlos studied guitar under Brian Lutterbie, Tom Wolfe then Vic Juris. Carlos also studied briefly with Jack Wilkins, Paul Bollenbach, and Ralph Bowen. Carlos Pino has shared the stage with artists such as Ellis Marsalis, Claudio Roditi, Oteil Burbridge, Col. Bruce Hampton, and Bill Kruetzmann. Carlos Pino has performed all over the U.S., Japan, and Colombia. Over the last 15 years Carlos led various jazz and fusion groups and is a sideman in several groups, ranging from big band jazz, spoken word improv, to rock and bluegrass. He has released two albums under his name. Carlos has also performed on various radio shows such as “Wait,Wait, Don’t Tell Me” and “The Rick and Bubba Show”. Carlos has also spent much of his time in musical theatre. He performs regularly with Red Mountain Musical Theater in Birmingham and with the Alabama Shakespeare Festival Theater in Montgomery, Alabama. Carlos has also performed with the Rubicon Theater Company in Ventura, California (Man of La Mancha). Carlos is in demand as a guitarist because of his versatility in various musical styles. In addition to performing, Carlos has been teaching guitar lessons privately for almost two decades. He was recently awarded honors at the Festival Bandola in 2016 in Sevilla, Colombia for his contributions to the festival as an artist, and for his work to bring American musicians to perform at the festival and throughout Colombia. The concert will be at 3:00 PM, Sunday, November 20, 2016 in Brock Hall at Samford University. Samford University, Brock Recital Hall. Admission is $7 for Adults and Seniors. Samford Students, Faculty & Staff are admitted free of charge. Birmingham composer and Advent parishioner K. Lee Scott has emerged as one of America’s foremost composers of music for the church. His hymns are found in eight hymnals, and his 300 published compositions include anthems, hymns, major works, and works for solo voice, organ, and brass. On Sunday, May 17, at 3:00 p.m., the Cathedral Choir will present a concert dedicated to the music of K. Lee Scott. The Aria Brass Quartet – Dennis Carroll, Rick White, Mark Foster and Mike Lingo along with organist Charles Kennedy will perform with the choir. The Rock Mountain Swing Band performed at the Feast of St Mark. on Saturday, April 25. 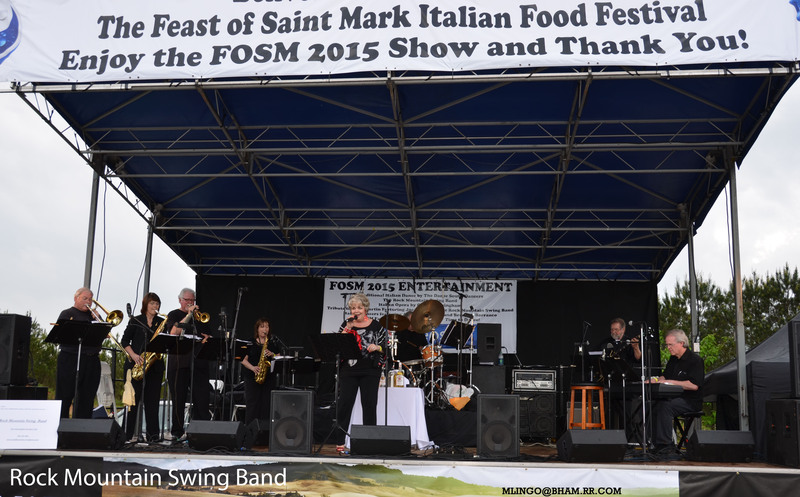 The Rock Mountain Swing Band will perform at the Feast of St Mark on Saturday, April 25, 2015. 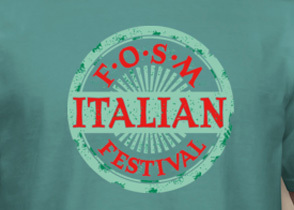 Saint Mark the Evangelist Catholic Church in Birmingham, Alabama, invites you to a day of Italian food and fun for the entire family. The band features Sallie White, Kim Bain, John Taylor Mike Lingo, Alan Brooks, Sonny Harris, and Ray Reach, with Carol Downey on Vocals. 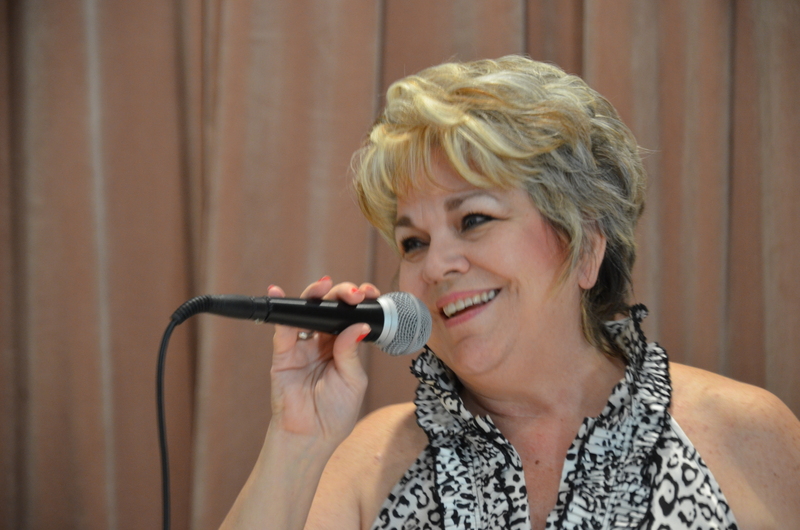 Carol Downey will return as our featured guest vocalist for the Sunday, April 12, 2015 concert. Her first guest appearance with SuperJazz was in 2013. Carol Downey comes from a family of musicians. She began her formal training at age 5 and grew up playing and singing gospel music in the church where her Daddy was the music director. Continuing her musical path, Carol joined her high school band where she played clarinet and bass clarinet. After high school she went on to study voice and piano at Lee University in Cleveland, Tennessee, where she soloed in many of the university musical concerts including Handel’s Messiah, and toured internationally with the premier vocal group of the university. In 1979, Carol moved from Marietta, Georgia, to Birmingham, Alabama, where she met her late husband, bandleader and trumpet player, Stan Downey. She joined Tradewinds Band in 1980, and has entertained the Birmingham Dance community ever since. In 2012 Carol formed an additional band, Lady & the Tramps, and continues to perform to this day. Carol has one son, David who, along with the help of his lovely wife, Melanie, has given her two beautiful granddaughters, Brianna and Olivia. Doors open at 2:30, Concert begins at 3:00 Admission at the door, no advance tickets. Samford University Students, Faculty & Staff are admitted free. 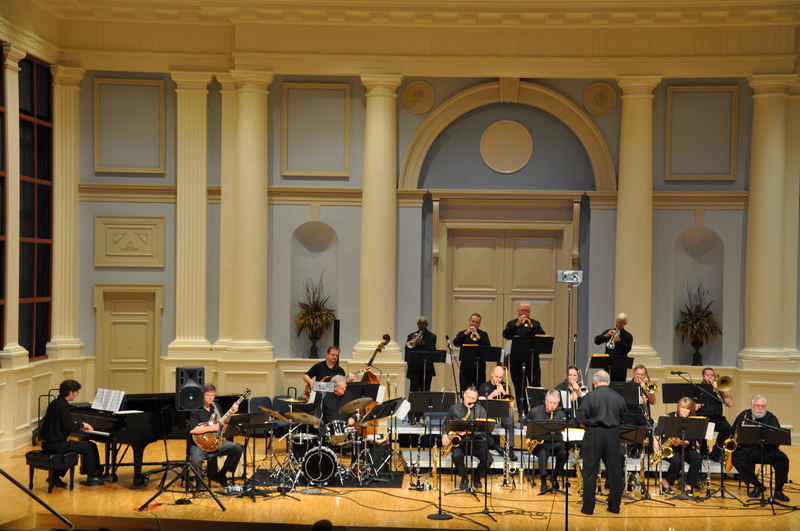 SuperJazz will present four concerts at Samford University this season. SuperJazz, formed in 1978, is an all-volunteer group of professional jazz musicians who come together four times each year to perform big-band jazz concerts for the Birmingham area. The band occasionally invites guest artists to share their talents by performing with the band. All concerts will be on Sunday afternoon at 3:00 PM, in Brock Recital Hall at Samford University. Admission this year will be $7 for Adults and Seniors. Students with ID are admitted for $3. Samford University Students, Faculty & Staff are admitted free of charge. SuperJazz is experiencing the first increase in admission since 1997. Increases in such things as the cost of postage, printed postcards, printed programs, music arrangements and the use of the facilities have made this change necessary. Keeping in mind that no member of SuperJazz receives any pay for what we do, we hope our loyal fans will understand the need for this increase.